This review is about item#32689806. The sockets scattered in the tool box are collectively refreshing. By arranging them in order, it is convenient to select the required size at once. I should have used it more quickly. For SSH 210 N, it would have been better if there were 12 holders. This review is about item#32675982. If it is short socket, it is fine but there is a possibility that the plastic holder will break if it is used in long. I think that it depends on how to handle, but for reference. You can use it perfectly, you can use it with Sunnari. It is a 6.5 mm square socket folder, but it is easier to detach than KTC. This item can be easily done because it pinches and picks up the knob. Because KTC strongly pulls out and pulls out, I feel stress when I detach. The smaller the 6.5 mm square socket feels, the more stress that it is, the reason why I chose SK - 11 rather than KTC. It arrives immediately when necessary and it is very helpful. It is very convenient to organize sockets that were falling apart. The size and shape are fine, but the lock function is the lowest. I wonder who knows the maintenance work, who made this. With one hand from the holder you can not get the socket bit. Certainly it should be unnecessary to carry it when carrying it, but when using it in a tool box (such as a wagon) take out the holder one by one and you can not take a bit unless you hold the lock part, so it's hard to use anyway. So I use all the parts that jumped out. I will ask for improvement. I use it without any problem. This review is about item#32675991. It helped organize the tool box, it is very convenient. The mechanism which can be removed by one touch click of SK - 11 is excellent. I purchased the set before and I learned about this mechanism. Especially this size is heavy in single item, so even if it is put in a tool case, it can not be bald. This review is about item#32676007. It is good as the socket can not easily come off. There are times when it gets in the way a little because it is bigger than an ordinary holder. 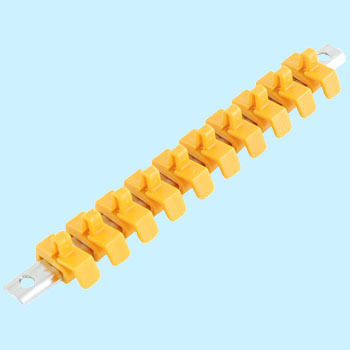 Rail rigidity is high, locking to the holder is good well, there is no loss and falling. While firmly holding, easy to use with one touch removal. Price is also the best for you. It was very comfortable to use. This is my second purchase. I wonder if I can buy it again for the second time. I thought that. The price is also reasonable, and the feeling when I plugged in the socket is soft. Metallic thing, metallic rubbing feeling like teeth floating. I have the chills. I also like to pull out by pushing the lever when removing. The thing which is not so is hard when inserting and pulling out. If you insert a large socket with the number of frames, the length of the rail may be insufficient. Besides, due to oil, the last purchase is split two pieces and it is unusable. That is the case, there are four stars.